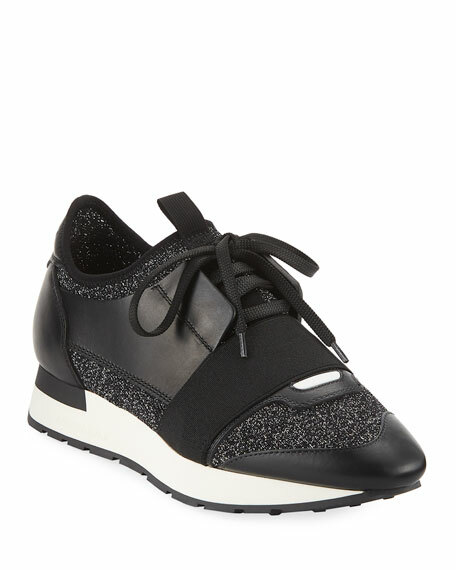 Rag & Bone colorblock leather sneaker. 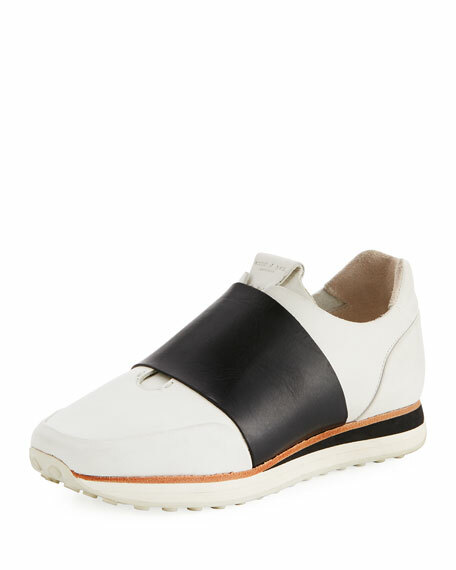 Balenciaga colorblock sneaker in neoprene, mesh, suede and leather. 1.3" flat heel with platform. 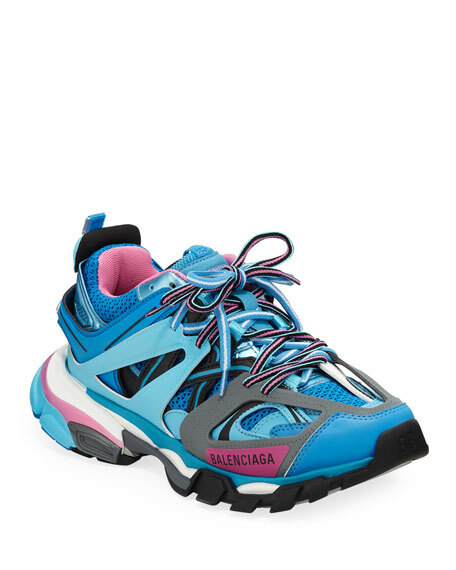 Reinforced round toe. Stretch-strap over lace-up vamp. Pull-tab at front collar. Stretch-sock insole. Rubber outsole. Made in Italy.